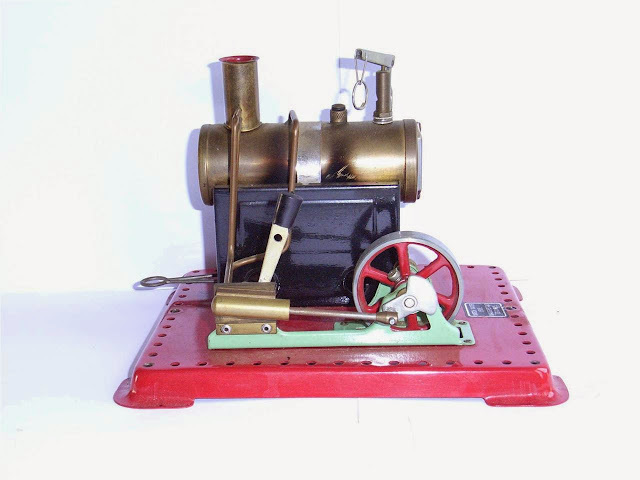 There are many websites to choose from when it comes to buying a used Mamod steam engine online. For most people, eBay will be the first place to look for the simple fact that the majority of people will put used engines on eBay first because it is easy, quick, simple and will help the engine sold for a reasonable price. The problem with eBay is that there are some sneaky people out there that like to sell Mamod engines in great condition without mentioning that they have actually be restored. For most people, they will think these engines are in its original condition. However, you will find that some eBay users will not include whether the engine has been restored or not (generally, restored engines are worth less - a great original condition engine is worth much more). For this reason, here are a few pointers to help identify if a Mamod steam engine has been restored or not. 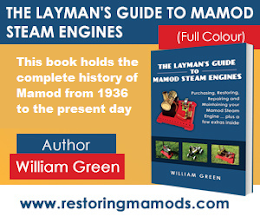 Be sure to check out my Mamod book entitled The Layman's Guide To Mamod Steam Engines - A full colour 109 page book all about Mamods! The shade might be different. For example, the green used on the TE1 series may be slightly brighter/darker than normal. Many stationary engines have had their fireboxes resprayed heat resistant black. Most heat resistant blacks are BBQ paint and matt - Mamod fireboxes original are satin/gloss. What is painted? A chrome band that has been painted suggests it has been restored since the only reason to paint a chrome band is to high the pitting or rust formed under the surface of the thin layer of chrome. The texture of the paintwork tells a lot about the engine. If the restorer has not done a good enough paint job, you will see dimples (just like the skin of an orange) all over the paintwork or, even worse, drip lines. The age of the engine will help you identify if it has been restored or not. For example, a SE4 from 1936 in immaculate condition suggests it has been restored, since it has lived through WWII and survived nearly 80 years. In general terms, the older the engine, the worst condition you should expect the engine to be in. If it is not in a bad condition and extremely old (you can identify the age of the engine through my book The Layman's Guide To Mamod Steam Engines), you should ask questions to why it is in such good condition. The brass work is easy to distinguish if it has been restored and cleaned. Brass does not rust but tarnishes. This is the process when the first layer of brass in contact with the air creates a chemical barrier of brass that has been oxidised. The layers below this oxidised brass do not tarnish since they are not in contact with the air. For this reason, you should expect to see brass become duller and dark gold in colour over time. If the brass on the Mamod engine is unusually bright and shiny, you can assume it has been cleaned. A good way to check is by looking at the chimney and the threaded inserts on the boiler of the engine. These are inherently tricky places to clean so you may be able to see it tarnished still from when the restorer has struggled to get into the small places to clean. Rivets are a great way to tell if the engine has been restored or not. Just take a look at the engines on RestoringMamods.com. I know Mamod used hollow rivets on stationary engines such as the SE1/2 but I choose to use closed rivets because it adds a bit more chrome-like appearance to the engines. Some restorers won't like using hollow rivets as they are harder to use than closed. For this reason, even for the mobile engines, have a look at what rivets are on the engine and in what condition. This engine is not restored. The paintwork has no obvious signs of respraying and the brass work is tarnished and dirty, Every part looks to be where it should be so this one is a no brainer. Again, this one is easy. The tarnished marks on the boiler and the rusting alone on the firebox suggests this engine has not been restored. As well as this, the paintwork on the firebox looks to have been painted on thick with a brush. So, for this reason, you will want to stay away from these type of engines. What someone has done is restored the engine, used it and then claim the engine in an 'uncleaned' condition (which is what the above engine is actually stated as)! I hope you are getting the idea now. This engine has clearly been restored. The paintwork on the engine bracket is far too light a colour with the red seeming to be distinctly bright too. However, what gives this away, is not the matte heat resistant firebox but the rivets used on the engine bracket, which are not Mamod hollow rivets but closed rivets.